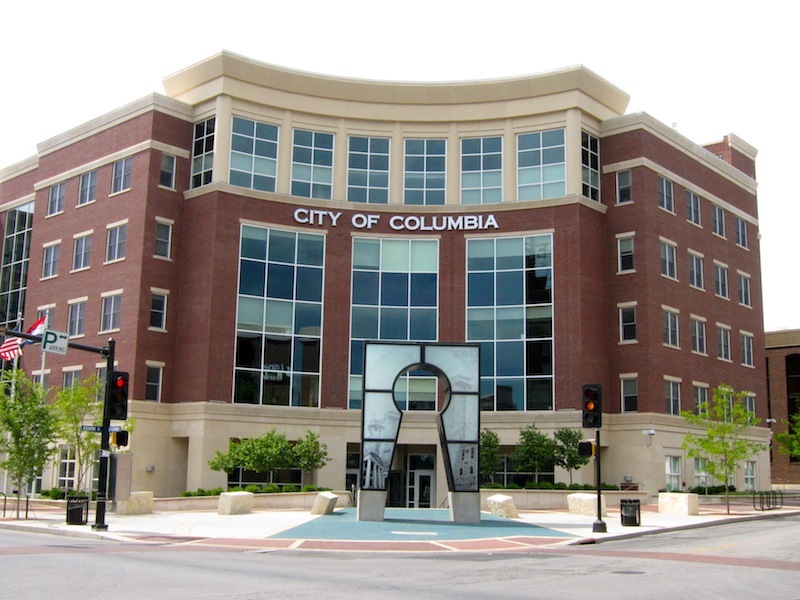 COLUMBIA, Mo 2/26/18 (Beat Byte) -- Columbia city government's "pooled cash" savings account at UBS (Union Bank of Switzerland) is up $20 million since last year, to $321 million. This amount does not include city employee retirement funds of another $129 million. Growing controversy over the gigantic savings account prompted city manager Mike Matthes to keep information about it -- detailed in Table 13 of the city's Comprehensive Annual Financial Report (CAFR) -- from the Columbia City Council until after they passed his 2017 budget in late September. After receiving letters demanding an audit of the city's books from city employee associations and the Columbia Board of Realtors, Mayor Brian Treece told Council members this month he wants Missouri State Auditor Nicole Galloway to perform a full "performance audit," a possible first in Columbia history. At the end of each year, city departments pool cash left over after paying expenses and servicing debt. Some departments collect tax dollars; others utility and use fees; still others fines, grants, and miscellaneous income sources. "The City manages a pooled funds investment program for all cash not restricted," City Hall's accountants explain in the CAFR. The pooled cash is "available for use by all departments." On deposit since 1994 at UBS, City Hall's "pooled cash" accounts have almost tripled in value in less than twenty years, from $110 million in 1998. With dual headquarters in Zurich and Basel, Switzerland, "UBS charges no fees to the city for this account," City of Columbia public information officer Steve Sapp told the Heart Beat. "UBS also provides reports to the city at no charge." Though Council members could exercise their authority over the cash holdings, they instead cede control to the city manager, who authorizes deposits, withdrawals, and transfers, with and without their approval. Though they steadfastly refuse to spend the money on increased city services, Matthes and city managers before him have approved its use on other projects of questionable value. In 2010, city government spent $500,000 to buy an old office building for IBM from the estate of prominent businessman Bob Lemone. In 2013, it spent $3 million for development land north of town. Last year, City Hall sold the land at a $1.5 million loss to Aurora Organic Dairy. Matthes is also not averse to keeping information about the cash holdings from Council members. Despite several public requests from Mayor Brian Treece during budget hearings in August and September, the city manager withheld the "interim CAFR," normally released in May, until October. Letters to him from city finance director Michele Nix introducing the interim reports tell the tale. "This Financial Information Supplement is presented with account balances as of March 31, 2016," Nix wrote to Matthes on May 5, 2016 (page six of PDF at link). "This Financial Information Supplement is presented with account balances as of March 31, 2017," Nix wrote to Matthes on October 4, 2017 -- five months after the interim report's usual due date (also page six of PDF at link). Questions about the Swiss bank account are discouraged and even belittled. Matthes and Nix spent nearly 30 minutes at the 2017 city budget retreat trying to convince Council members not to investigate the account, calling it "just a rumor" and "misinformation." Though the CAFR annually details each cash investment in Table 13 or Table 25, Matthes embarassingly told Council members the money wasn't *really* cash, but "inventory, like spools of copper and utility poles." Nix corrected him several times. -- Author Mike Martin received his MBA from the University of Washington in Seattle. Martin is former chairperson of the City of Columbia Finance Advisory Commission.